This is a question I regularly ask my clients is when I work with them to help improve their performance levels. Is your business working at cause or effect? The difference between the two can be quite astounding. 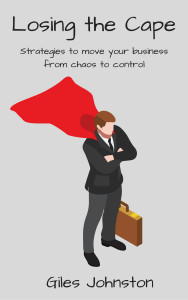 A business that works at effect is one that has a poor grasp over its results, seems to be constantly firefighting and time seems to evaporate so that no strategic work ever gets completed. A business working at cause seems to gracefully progress in terms of its progress and development rate. It doesn’t suddenly become a cake walk, but life can become easier (and certainly more interesting). A particular client of mine had an issue with how their projects were delivered. Most projects were profitable, but all of them were wrought with issues. None of the issues were complicated but the business failed to learn from them. In the past they had tried to stop and learn from their issues (and also reflect on what had worked well), but the total investment in staff hours was in excess of sixty to complete the review process. Looking solely at the time required to undertake this review was the wrong perspective. Thinking about how much time it would take to run the next meeting put people off – they were already busy and this was something that they just couldn’t afford the time to get involved with. Also, the cost to the business to conduct the lessons learned was expensive for the results that they generated. The handful of times that they had run their reviews in the past had yielded nothing meaningful that the business could benefit from. They were stuck in the same position that they were in before. In essence this is a pure ‘Pareto’ question – how can we gain more results for less effort / cost? The previous reviews had involved inviting everyone that was involved in the project from a supervisory / management role or a technical perspective. An agenda was prepared and the meeting attendees went through each step of the meeting’s agenda having their various ‘bun fights’ on the way. At the end of the meeting there was no consensus, no actions and no energy! The agenda was changed into a Google Form survey. The survey was sent out to all participants of the next review meeting and a deadline given. The results were reviewed by the Project Manager. Themes were identified and both specific and generic (business wide) actions were proposed. The proposed actions were sent out to the participants for review ahead of the meeting. A short meeting was held where praise was given where praise was due and the proposed actions were either agreed with, disagreed with or modified. All agreed actions gained a nominated lead and deadline during the 35 minute meeting. We left the meeting with a clear twenty-point action plan and experienced only a very minor bump in terms of people’s diary commitments. I can report that the changes have largely taken effect and these simple, but effective, actions have already made a noticeable improvement to the subsequent projects. I should also make a comment that due to the previous meetings having taken so long that the last one was carried out over 18 months before this last one (and that was under duress of the company’s owner!). From a time perspective, over 85% of the total time was removed from this process (for infinitely better results). From an effectiveness perspective, the review actually happened! This is definitely cause and effect thinking in practice. Finding a way to learn from your past successes and mistakes, however limited, is a great strategy to move your business into operating at cause. Even just a few minutes can yield something of benefit. It is far better to do something than do nothing. 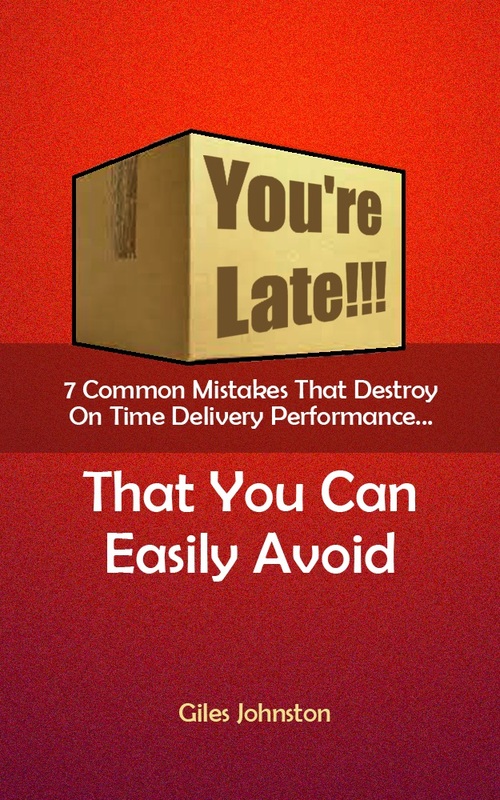 As with all continual improvement activities, the time you spend on making the business work more effectively and more efficiently will payback in multiples of what you invested. This example is just one of many of how a business can move away from existing at effect and into a proactive cause state. If you operate at effect the Universe will have its way with you. If you operate at cause you significantly increase your chance of having your way with the Universe! Sure, difficulties still arise, but all the ones you are causing through your own actions will diminish and you will find that you can take more in your stride. Whether you feel inspired to look at your own ‘lessons learned’ process, or something else to move your business away from effects and into causes, just remember – it will be time well spent. 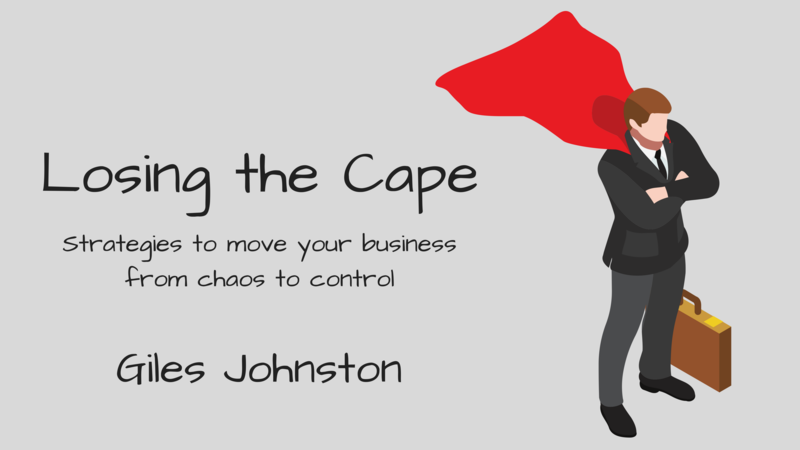 If you want some additional ideas on how to move your business from where it is today to even higher levels of performance, check out my book Losing the Cape. It is available on the Kindle platform, from iTunes, as a PDF or as a paperback. Click on the links below to purchase it in your favourite format.